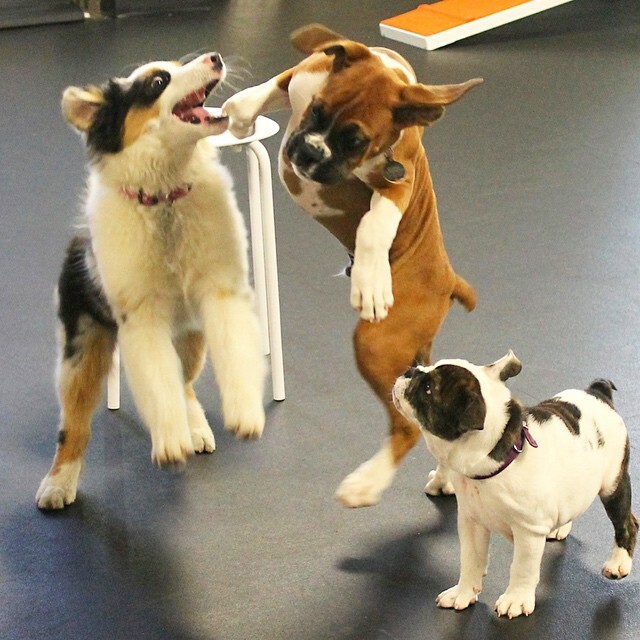 Every puppy needs puppy classes and early socialization. Zoom Room puppy training classes are like an owner’s guide to your new best friend. We can help you navigate the challenges of raising a happy, well-behaved puppy. We offer puppy socialization, manners and agility classes beginning as early as 8 weeks of age. Our open enrollment schedule allows you to join at any time and attend as your schedule permits. Not sure about taking your puppy to class before he’s had all his vaccinations? Give us a call at (650) 446-1214, and we’d be happy to share the American Veterinary Medicine Association’s recommendations with you. We hope to see you and and the newest member of your family soon! The Zoom Room has been serving Belmont for five years, training over 4,000 dogs (and their owners), with 50+ 5-star reviews on Yelp, and 70+ 5-star reviews on Facebook. We’re open 7 days a week, with plenty of free parking. If you and your puppy have yet to swing by, please provide some quick info so we can help your pup start smart. The critical window for developing a puppy’s attitudes toward the world closes at about eighteen weeks. Our classes begin at eight weeks – so the sooner you can begin socializing and training, the better! Puppy Preschool: 8-16 weeks. Someday they’ll grow up. Just not yet. In puppy preschool, you’ll learn how to address housebreaking, nipping, chewing, and jumping problems, all in the company of other new puppy owners. Includes socialization and group play time for the little ones. Puppy Obedience: 8 weeks to 8 months. Start smart with our puppy manners class, learning age-appropriate behaviors in a fun, relaxed environment, designed to introduce your puppy to basic skills that will set the foundation for later learning. We’ll focus on getting your pup’s attention, sit, down, stay, and polite greetings. We tackle common problem puppy behaviors and begin work on loose-leash walking and coming when called. Puppy Agility: 8 weeks to 8 months. 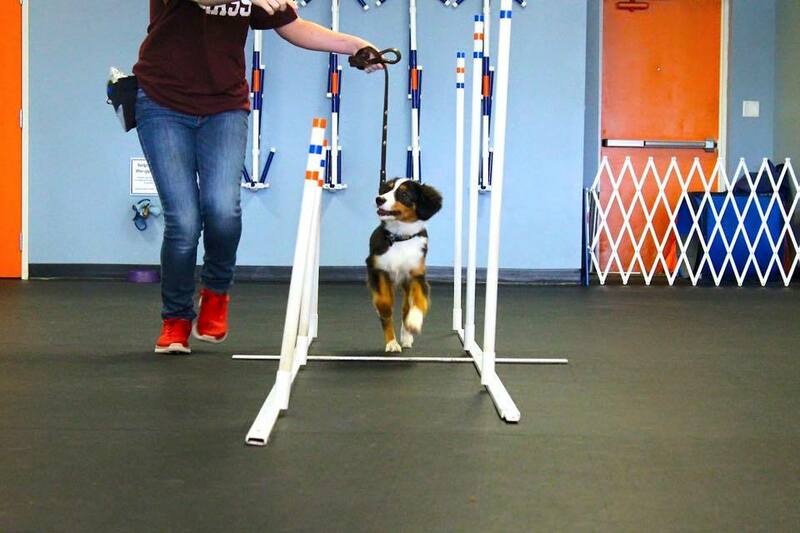 With our fully-adjustable equipment, even puppies can learn agility! This class is designed to be easy on growing joints and bones. We emphasize coordination, balance, and confidence-building for your puppy, building upon the foundation of great communication learned in Puppy Preschool. Puppy Pup-lates®: 8 weeks to 8 months. This special class for puppies is designed to be easy on growing joints and bones. Using equipment you’d find in a human gym, your puppy will learn core control and develop athleticism, balance, and strength. Perfect to help your puppy learn coordination and build confidence. Puppy Playgroups: 16 weeks to 8 months. Our playgroups are a great way to provide your puppy with off-leash socialization, while you connect with other fantastic puppy owners. One of the best kept secrets of our playgroups is that an experienced trainer is there the whole time, able to assist with etiquette and interactions and available to answer any and all questions. 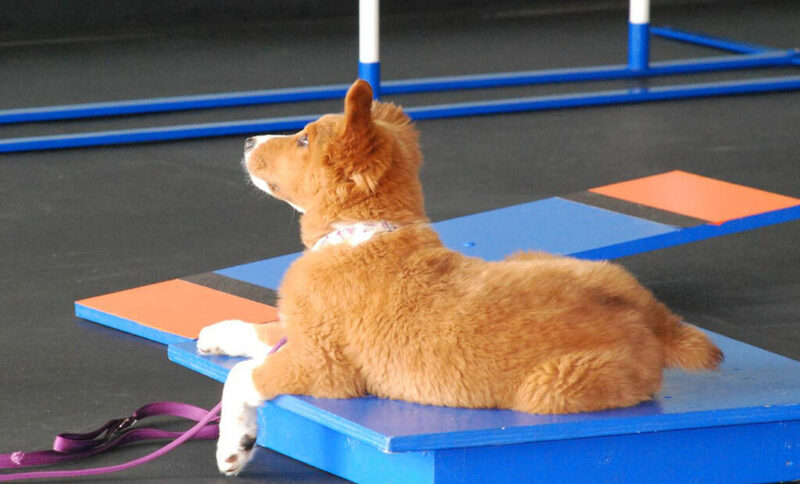 One thing new puppy owners especially love about training at the Zoom Room is that they are automatically enrolled to achieve the AKC’s Puppy S.T.A.R. distinction, which rewards accomplished puppy training. S.T.A.R. stands for Socialization, Training, Activity, Responsibility, all qualities we highly support and endorse! 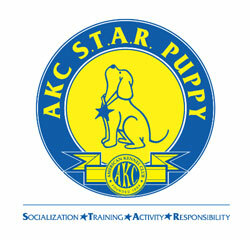 Your puppy can become an AKC Puppy Star after only six puppy classes. No special testing is needed, as your trainer will be evaluating your puppy’s progress throughout her first six visits. SET EXPECTATIONS. Get your whole family on board with consistent rules. For example, where will your puppy eat and sleep? Will he be allowed on the furniture? What tolerance will you have for putting his paws on people? Reward for correct behavior and redirect or ignore the behaviors you don’t want. CRATE TRAIN. Crating is the best way to house train your pup and prevent him from wreaking havoc when you can’t supervise him. Make the crate a positive place by starting with very short periods of time and lots of rewards. Both you and your puppy will be happier if he is comfortable hanging out in his crate. Puppy socialization is more than just sniffing another dog’s rear, or engaging in gentle play. Puppy socialization means meeting new people, experiencing the touch of a stranger’s hand, smelling novel smells, hearing unfamiliar sounds, encountering new places – and – this is critical – doing so in a calm, caring atmosphere so that your puppy takes away from this experience the understanding that people, dogs, places are inherently good – that good things happen when humans and other dogs are near. That there really is no need to fear. Our puppy training classes are conducted using only positive-reinforcement training. That means your puppy is receiving positive praise, petting, toys, love and – of course – lots of delicious treats. This cements the association between these early socialization experiences and the receiving of so much wonderful and lavish attention. The Zoom Room provides puppy classes in a safe, clean, immaculate, controlled, indoor environment, under the supervision of a professional dog trainer, and in the company of other puppy owners who, like you, have been required to demonstrate evidence of their puppy’s vaccination records. The first three months of your puppy’s life are the perfect time to start exposing her to new people, animals and other environments. These formative months are when being social outweighs fear. By exposing her to lots of different situations early, it will enable her to cope better with new experiences later on.